The Alabama Senate candidate offered a much clearer denial of the most serious allegation, saying he did not even know Leigh Corfman, the woman who says Moore picked her up at the court house when she was 14 years old, and later molested her at his house. On Monday, a fifth woman accused Moore of sexually assaulting her when she was just 16 years old. Beverly Young Nelson said she met Moore in 1977 when he was a regular at Old Hickory House, where she worked. She said he offered to drive her home one night, but instead he drove her to the back of the restaurant and began groping her breasts and trying to force her head toward his crotch. Moore adamantly denied her allegations, saying, as with Corfman, that he does not even know Nelson. “I want to make it perfectly clear, the people of Alabama know me, they know my character, they know what I’ve stood for in the political world for over 40 years. 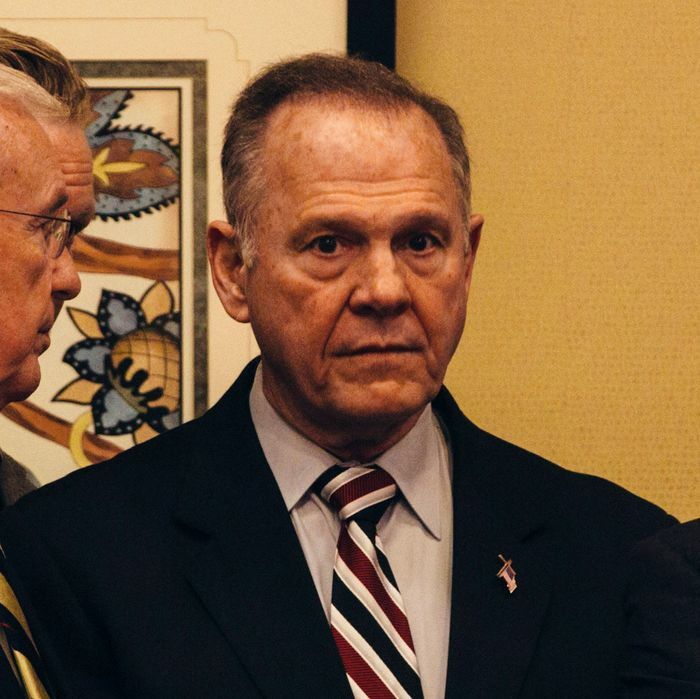 And I can tell you without hesitation this is absolutely false,” Moore told reporters on Monday evening. Below his name, he wrote the date and “Olde Hickory House,” the name of the restaurant he now claims he has no knowledge of. Senate Majority Leader Mitch McConnell said he “believed the women,” and every Republican senator but Rand Paul has called on Moore to step down.